Is it natural to have an inherent fear of hospitals? My first experience of hospital treatment was as a four year old, needing several stitches to repair a large cut in my cheek (and being promised some dolly mixtures afterwards!). A few years later, another hospital visit was needed to mend a broken arm (roller skating accident). If it hadn’t been for these two indelibly ingrained hospital experiences, I may well have considered training to be a nurse! I still have a dislike of visiting hospitals, but in recent years have become grateful to the NHS and medical staff for life-saving surgery, treatment and vital blood transfusions. An unexpected hospital stay and an unknown outcome can be a frightening experience, and at times like these when it’s sometimes difficult to pray, it’s comforting to have the prayer support of Christian friends. As well as upholding our friends and family in prayer, here is a suggestion for MU branch members and individuals to consider, as a practical way to demonstrate our Christian love and concern. It’s an idea initiated by MU members in Australia. Have a look at their website http://www.muaustralia.org.au/resources/craft for other interesting ideas. 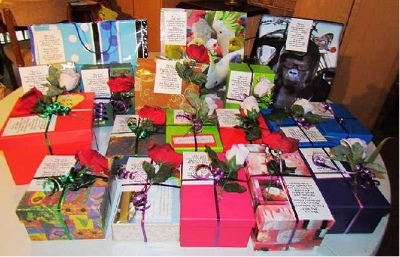 A Joy/Blessing Box needs to be large enough to include several small practical gifts to give pleasure to, and brighten the day of someone who is grieving, sick, lonely, depressed, struggling, or someone you long to share your faith with. This little gift is to brighten your week, a gift for every day. Choose just one to open now and leave the rest for another day. This is a ‘Joy Box’ from . . . . . . . /members of the . . . . . . branch of the Mothers’ Union. 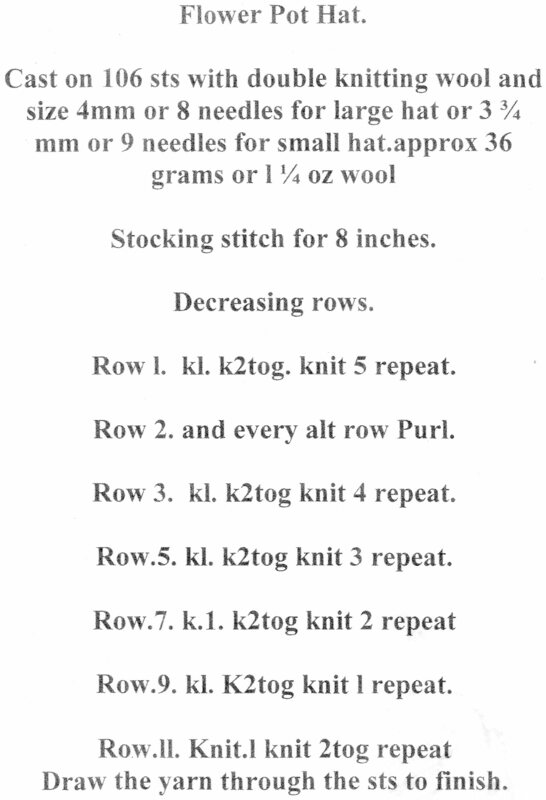 Here are just a few of the knitting patterns we utilise for various good causes. Click the links, which will open in a new window to allow you to print them.